Edinson Cavani scored a superb headed goal in the second half to earn his side a draw; thus cancelling out Branslav Ivanovic's stunning opener at the Parc des Princes. Parc des Princes was revved up in anticipation of what promosed to be a marvellous clash between two of the biggest heavyweights in their respective leagues. It was a fairly even contest early on but PSG arguably looked the most dangerous moving forward with the likes of Lavezzi and Cavani threatning to send Mourinho's men a goal down. Courtois would be called into action early on as two rocket headers were plowed on target. The first saw Matuidi blister into the area and latch onto Cavani's short cross but the Chelsea goalkeeper did well to parry away to his left. After a series of short passing around The Blues' box, Matuidi would switch to provider as he whipped in a great delivery to a climbing Ibrahimovic but his header was struck straight at Courtois. The hosts really began to rally and space was easily being created in front of Cahill and Terry as Ibrahimovic turned with ease and slipped through several passes towards Lavezzi on the left. Much more clinical finishing needed at the final hurdle, though. Chelsea answered back with their own passage of play as Mourinho's star players produced a terrific piece of play on the left flank. Fabregas' cheeky back-heel found the dangerous Hazard who skittled forward but Verratti soon stopped him in his tracks with a clip to the ankles; understandable considering the damage his Belgian opponent can do with marvellous dribbling skills. Nothing would come of the free-kick, though. Perhaps the hosts' best chance of proceedings fell for Cavani on the recieving end of a set piece. Matuidi, who had been linking up well with not just Cavani but Ibrahimovic too, fed the Uruguyan an opportunity to smash a header at Courtois's near post and he did just that. Terrific header; even better save from the 22 year-old keeper who turned it around his post. The Blues unexpectedly took the lead ten minutes prior to half time as Ivanovic bagged yet another goal in a big match. With all defenders pushed up for the free-kick it was Terry who curled one in and a brilliant flicked header from Cahill on the edge of the area found a charging Ivanovic who superbly clattered the ball past a stunned Sirigu who could only watch it tumble into the net. The home fans were stunned and judging by their vocal response an immidiate fight-back from PSG was demanded. The hosts won a free kick a couple of minutes before the break after Verratti was stupidly clipped on the ankles by Matic. On the edge of Chelsea's area stood a calm, composed Ibrahimovic; eyeing up a thunderous attempt at goal. The Swedish powerhouse battered it but the ball flew well over Courtois' crossbar. Could, and should've done better from there. That was the final noteworthy piece of action of the first 45 minutes. Despite the match stats which clearly favoured PSG over Chelsea, the Blues entered their dressing room with a prestigious lead over Blanc's men. The clear-cut chances fell for the hosts but they just weren't clinical enough and that is a deadly mistake against Chelsea and it had been proved. In the second half a much clinical approach to PSG's finishing was needed but they weren't getting the chance to do that as most times Hazard scorched forward on the ball he was clipped to the ground. The Belgian is statistically the most fouled player in his league courtsey of the ruthless pace and dribbling wanting to be avoided by the easy way out. The visitors' lead wouldn't last ten minutes into the second half as Cavani clinically headed past Courtois. Matuidi was initially fed down the left channel and the Frenchman delivered a marvellous cross in towards his Uruguyan striker who rose high above a lazy Chelsea defence and guided a perfect header into the right hand corner. Take nothing away from that finish but Cavani should never have been allowed to move so freely in enemy territory. 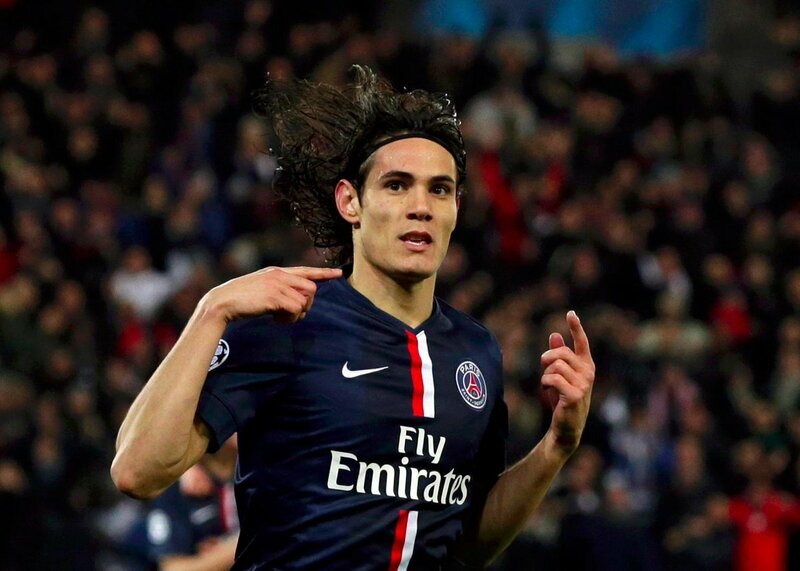 Cavani's goal lifted spirits of the home fans and their team as a second goal all of a sudden looked likely. The Uruguyan was at it again on the right hand side but his attempted shot was blocked and Ibrahimovic recieved possession on the left; Courtois that time thwarting The Swede. It remained clear that a draw would certainly benefit Chelsea more considering they could pounce on PSG at Stamford Bridge. A tense atmosphere was visible as defenders cleared their lines as quick as possible and Mourinho's men lacked their initial edge to attack. The hosts almost snatched all three points after a terrific sequence of passing between Cavani and Lavezzi resulted in the Uruguyan striker becoming one-on-one with Courtois at close range but his attempted low curling slot past the Belgian keeper failed to double his score tally as it drifted tantalizingly wide. Ibrahimovic, in the final minute of stoppage time latched onto a brilliant cross but his header battered towards Courtois who superbly parried around the post to keep his side level. The resulting corner ended up in a Chelsea free kick where the referee would call a halt to proceedings; with PSG having to settle for a draw. 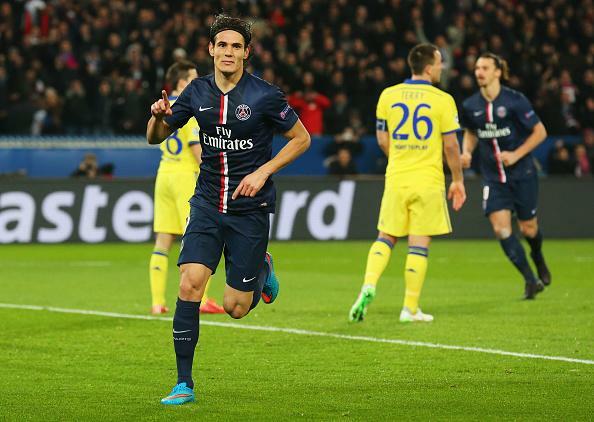 Edison Cavani salvages a draw in the first leg of PSG's clash with Chelsea in the Champions League Round of 16.